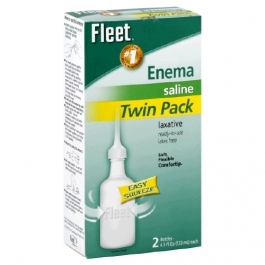 Fleet Enemas are for the relief of occasional constipation. Please folow package directions completely. If symptoms do not improve, please consult a doctor. Per 118 mL Delivered Dose: Monobasic Sodium Phosphate 19 g; Dibasic Sodium Phosphate 7 g; Sodium Content 4.4 g"